Did you know YouTube is the second largest search engine in the world? And have you noticed that YouTube auto completes your search with suggestions? This is the power of keywords, popular phrases, trending topics, and getting answers to the questions everyone is asking! 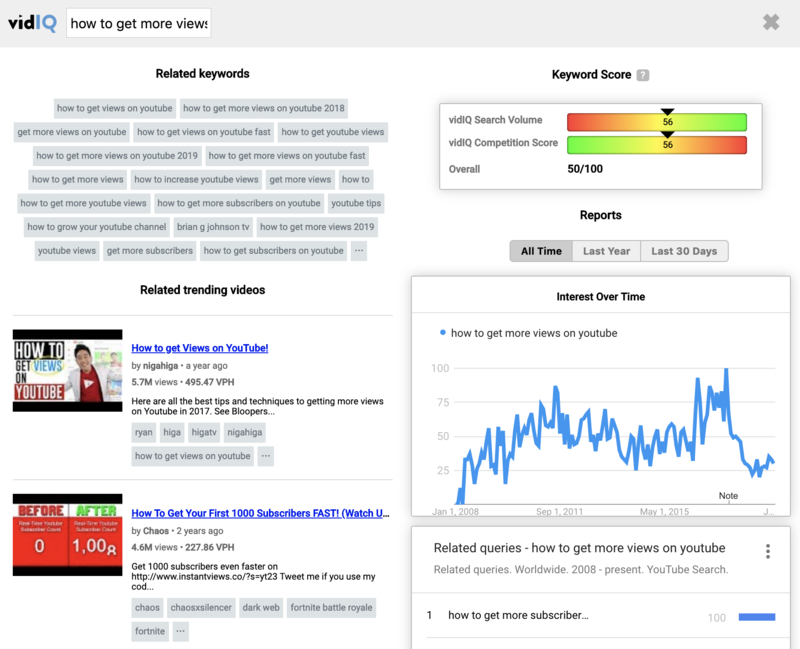 Our suite of YouTube keyword tools helps you understand what people are searching for so you can create content that people want to watch. Everyday there are BILLIONS of search queries, and if you know what they are, you can use this data to put your videos in front of more eyeballs. And guess who has that intel and the tools to exploit it? We do! vidIQ boost is a very powerful tool that gives you relevant search term suggestions. It also shows similar videos that are trending. When you search on YouTube vidIQ displays lots of great information regarding the keyword universe for a particular term. This includes average views and average subscribers, if you are finding large numbers then as a small channel you may want to niche down even further. The Keyword Score is our snapshot analysis of how hot (or not) the word or phrase is. This of this as demand versus supply or search volume versus competition. 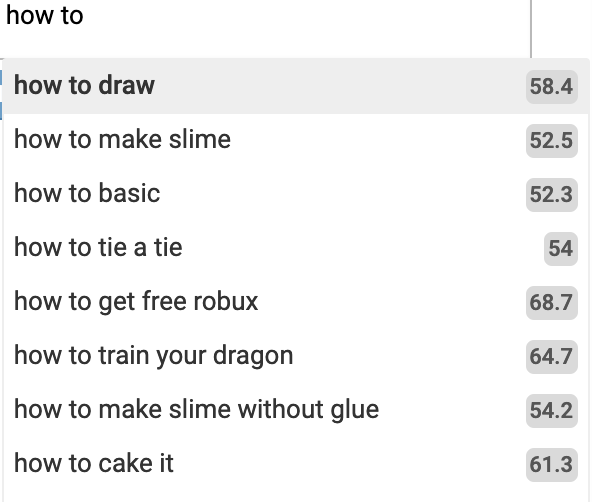 In an ideal world you want lots of people searching for the type of videos you make with very little alternative content to yours. A score of 100 for search volume and 0 for competition would be the perfect score - let us know if you ever find this golden keyword! The keyword Inspector tool helps you understand the keyword universe surrounding a root keyword. 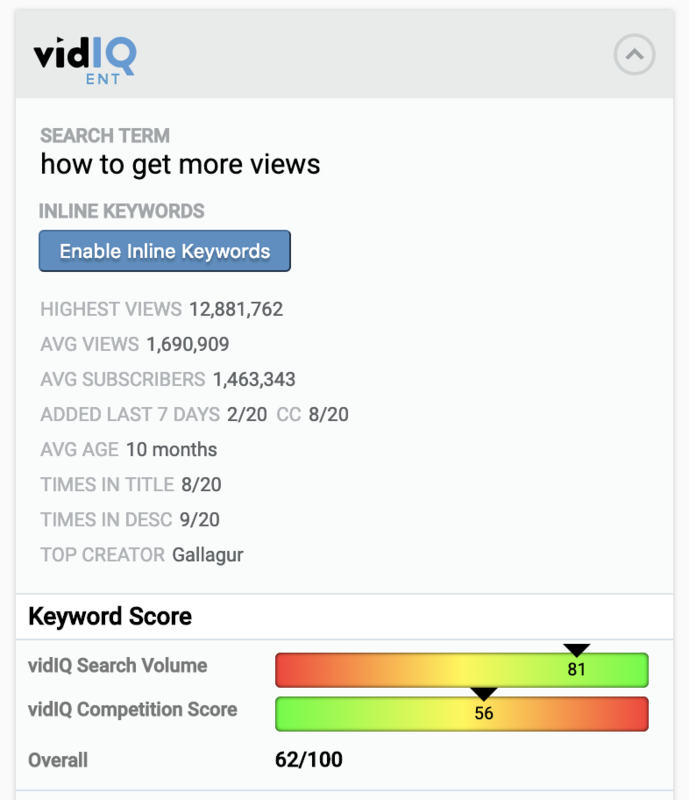 It will display related terms, our vidIQ keyword score, related videos and interest over time which can be really useful for identifying whether a keyword is still in vogue and when tentpole/recurring keywords (such as Thanksgiving) start to trend. Try this for a bit of fun, search for: Mariah Carey All I Want for Christmas is You and view the all time report. You can also enable inline keywords so you can see what tags your competitors are using on search results. You can then copy them and use them to help generate ideas for your own content and/or handpick the best ones that are relevant for your content. YouTube is a global video platform so you will have a global audience. Imagine how cool it would be to cater to multiple languages. 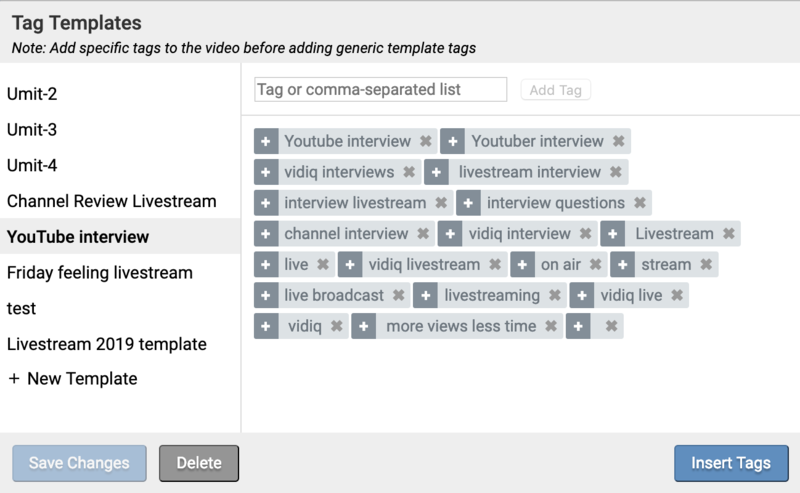 vidIQ can translate your video titles, descriptions and keyword tags all with a few simple mouse clicks. Just like YouTube recommends search query as you type something out in their search bar, when you type out keyword tags on the video upload/editor page, vidIQ will suggest ideal keywords too. You can create a keyword template based on the core words you might use in a series of videos saving you time. Our Web Suite has powerful video SEO tools including bulk SEO, channel wide tags, keyword research and who added what tags.